Get wet 'n' wild with a Clarence Pool Party. 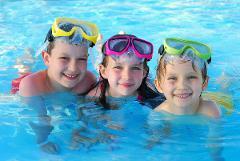 Includes the use of party equipment games pack for group water games for loads of water adventure. Great for ages 4 years and over. Catering options available.